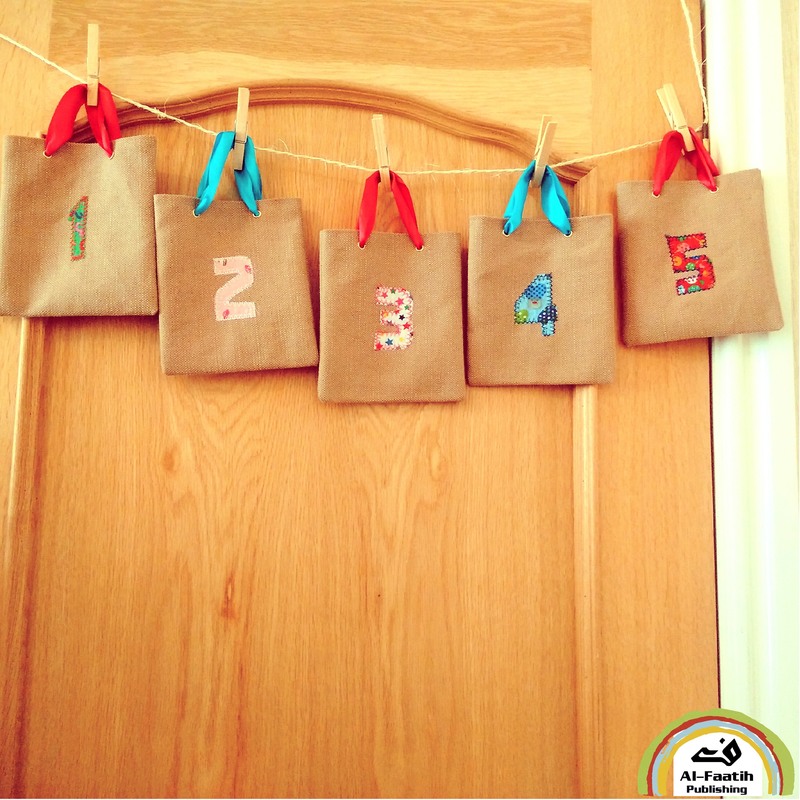 Make Ramadhan fun, exciting and special for your child this year! - with My Islamic Calendar. 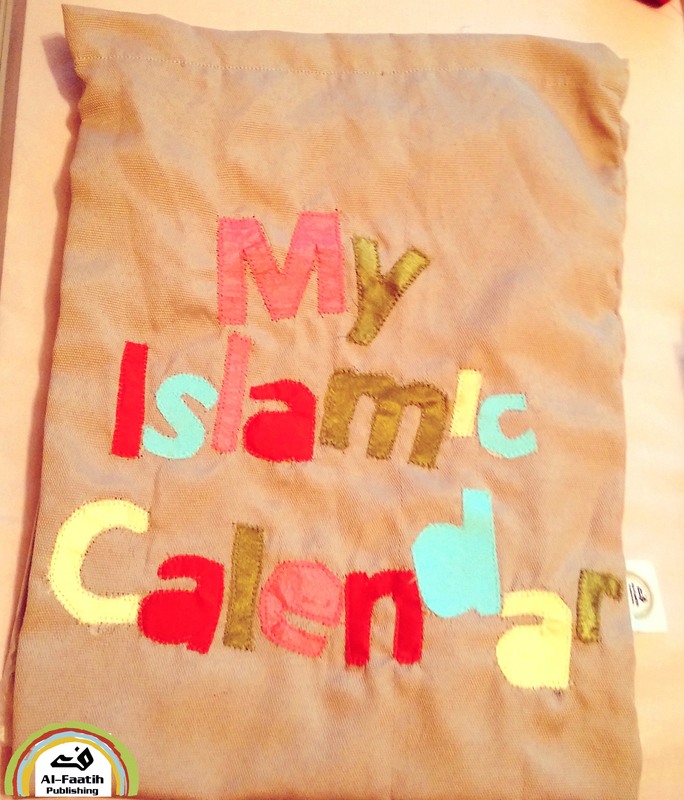 - wrapped up with love in an exclusive hand-sewn My Islamic Calendar bag. 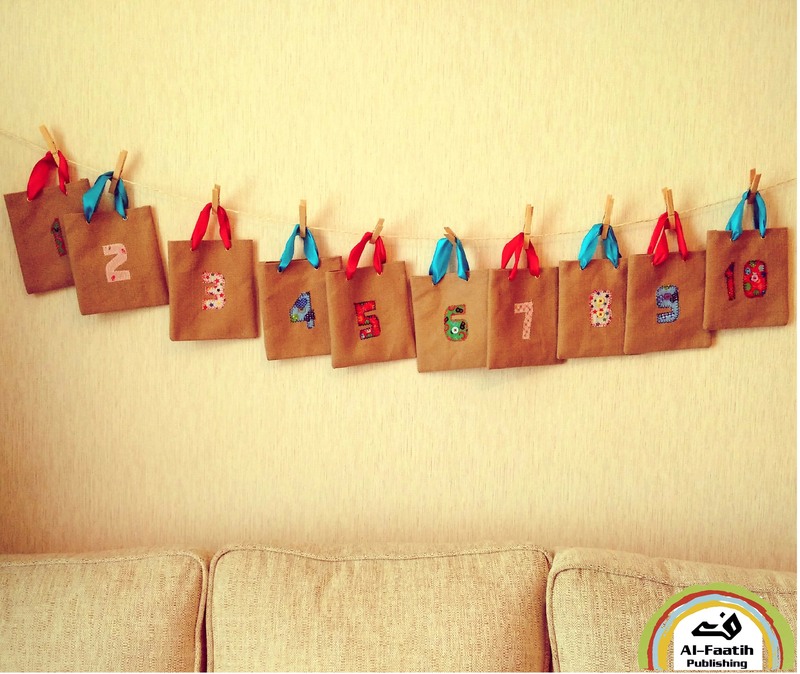 The My Islamic Calendar pouches can be hung wherever preferred using everything-you-need provided in the pack; insert the cards in their respective pouches and allow your child to go through your surprise cards every day to learn something new insha Allah. We recommend including sweets and treats in pouches to treat your child according to your child’s dietary needs. Most importantly – sit down and enjoy the thrill of opening a pouch a day with your child and seeing the smile on their face, and ask them to discuss what they read with you. (Please allow 7 working days for your special, handmade parcel to reach you). 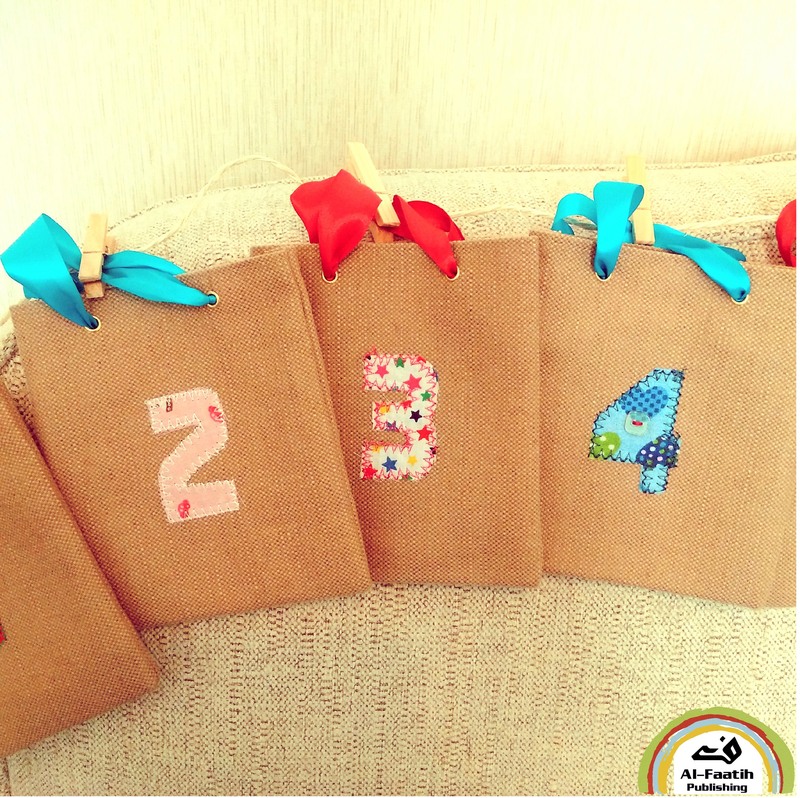 - Pouches are washable, reusable and refillable in any calendar month and are not exclusive to Ramadhan. 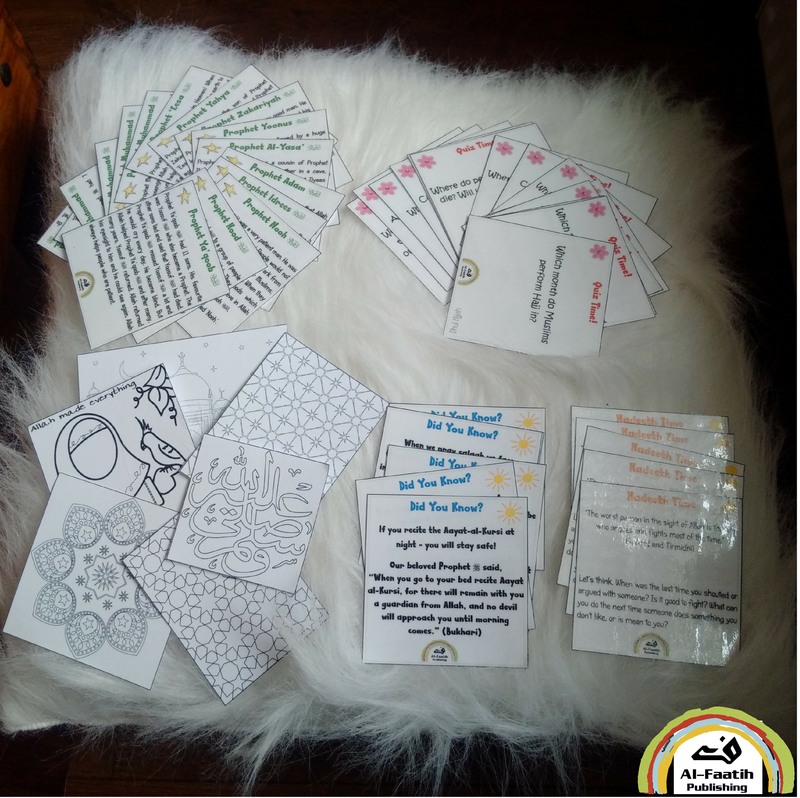 Look out for new sets of cards that will be available from Al-Faatih Publishing soon insha Allah! - Suitable for home or classroom use. - Set-up Guidelines included in the pack. - Handwash only. 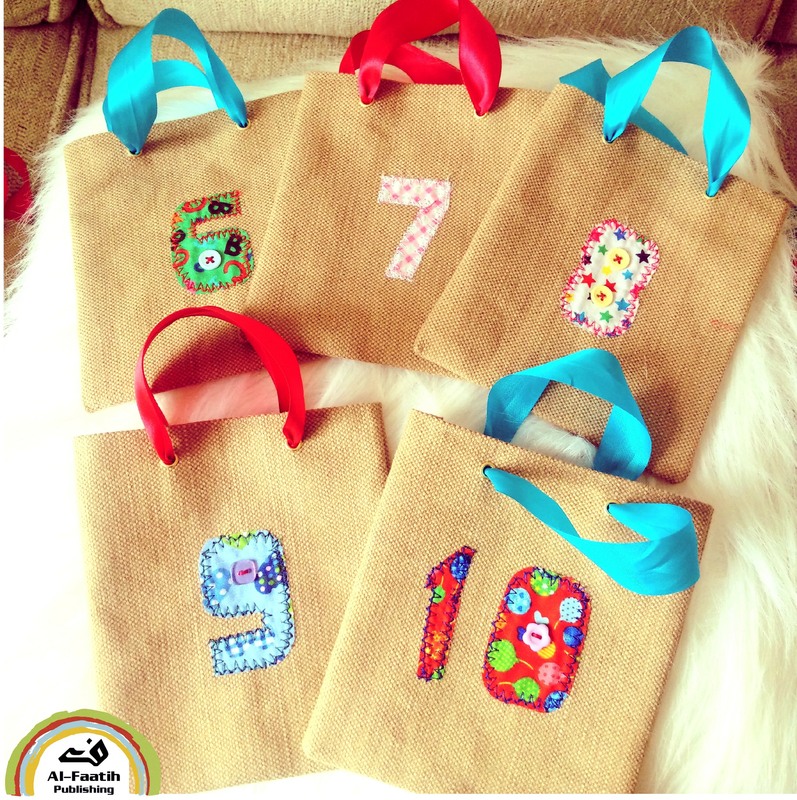 Pouch sizes are approximately 15cm x 15cm with ribbon handles. Twine can be cut to size and pouches hung according to preference. - The products may vary from the images provided.